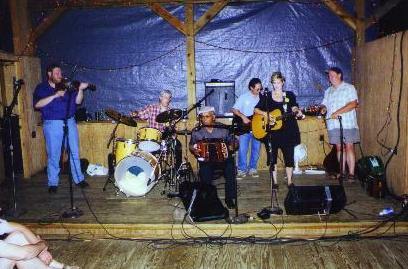 A fabulous time of dancing and music in Cajun country. 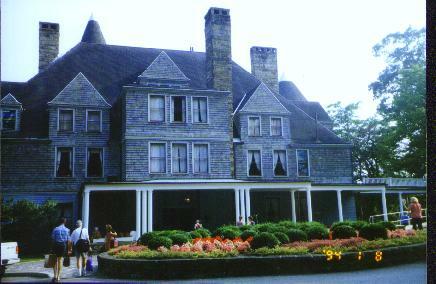 Cajun / Creole Week – During August at Augusta Heritage Center, Elkins, West Virginia. 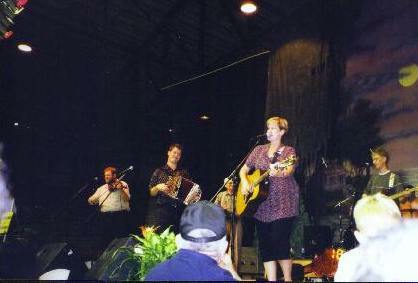 Or another festival in August in Lafayette for the CFMA – Cajun French Music Association Award Show. 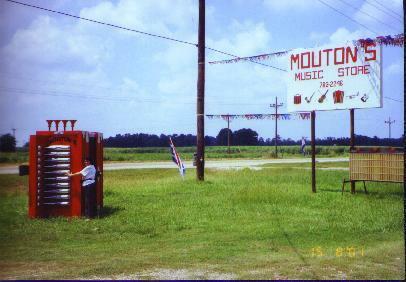 Hear Steve Riley & the Mamou Playboys & Balfa Toujours among others. 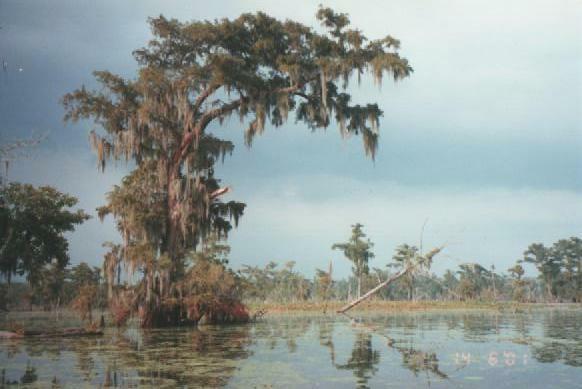 MARGOT’S TRIP TO A CAJUN/CREOLE FESTIVAL AND CAJUN COUNTRY – 26th July – 5th September 2001. Sometime in your life you may be lucky enough to have a life time experience through the generosity of someone you meet on the Internet. 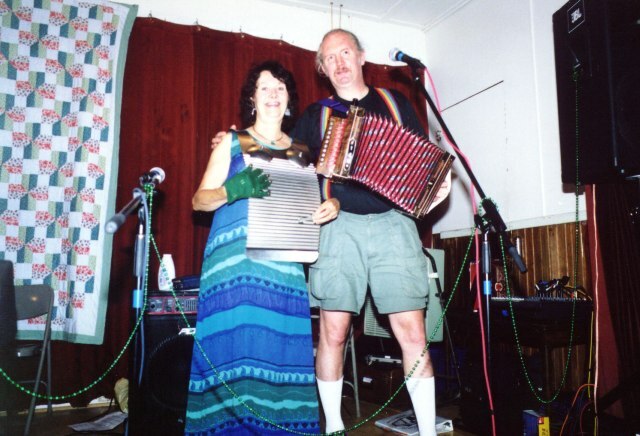 Such was my luck through meeting a guy named Garry Kaluzny from Michigan in the U.S.A. We met through our love of Cajun music and we both have Cajun Web sites. 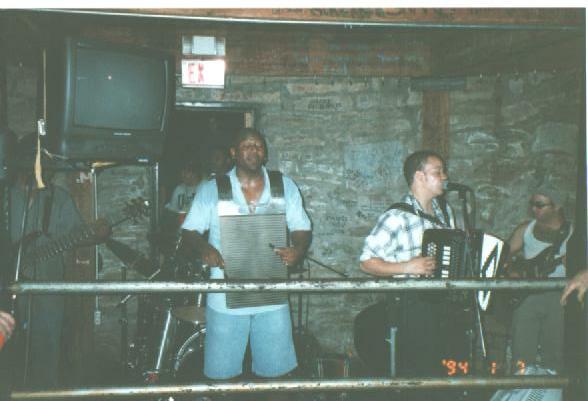 I was introduced to him through Mark Stoltz of Michigan who I also met on the Internet and who teaches Zydeco dancing. Garry was surprised I had a Cajun Website in Melbourne and was teaching Cajun dance classes. We emailed for some months and then Garry offered to take me to the Cajun/Creole Week at Augusta in West Virginia. 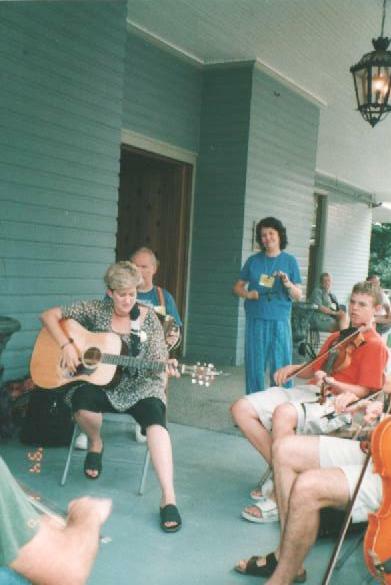 Being an addicted Cajun dance and music lover, I’d also wanted to go to Louisiana, so Garry said he’d also take me to Louisiana for the Cajun French Music Awards (CFMA) show in Lafayette after Augusta. 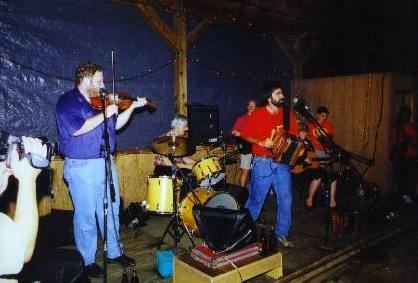 Mark was also going to the festival and a ruboard and Cajun accordion player in Garry’s band, Mary wanted to come too. I left Melbourne for my six weeks stay and Garry met me at the Detroit Airport after a 26 hour tiring journey. Garry and I got on really well which made my stay enjoyable. The following night we drove to Kalamazoo to see Lisa Haley and the Zydekats, and we met Mark and I danced with Garry and Mark. 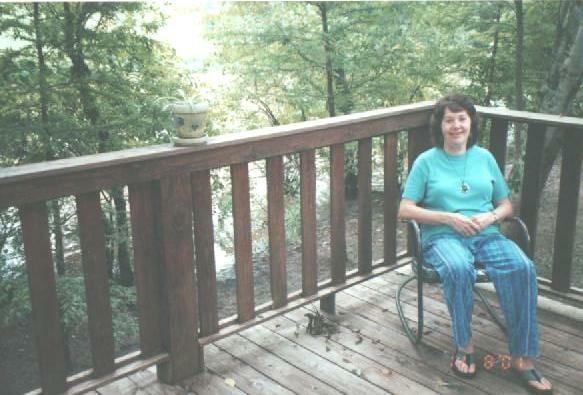 Several days later we left to drive to Augusta with Mary. How exciting it all was. 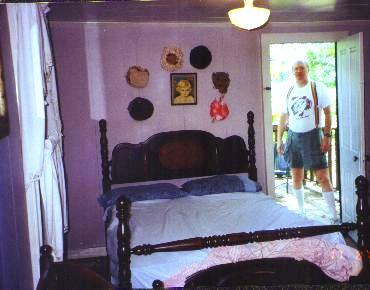 We arrived at Augusta in Elkins, West Virginia on the 5th August 2001 for a week for the Cajun/Creole festival. Augusta was magic, lots of friendly people to meet, plenty of music to listen to and join in with on the porch. 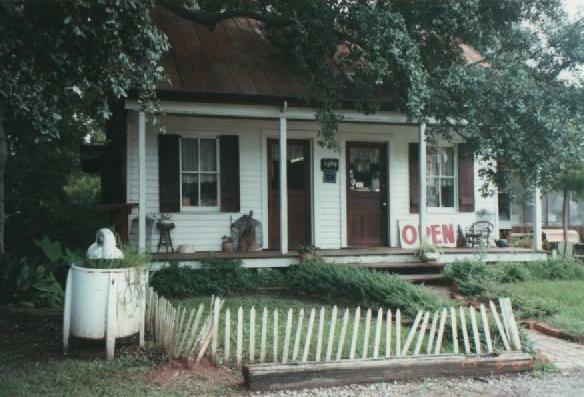 We had good accommodation, and all the food we could eat, jam sessions night and day on the porch and concerts at night followed by Cajun or Zydeco dances as well as Contra and Square dances and an Old-time Dance Party, and I was in seventh heaven. I particularly enjoyed Mona Wilson’s Zydeco dance workshops which Mark and I attended, while Garry and Mary attended accordion lessons . By the end of the week I could Zydeco dance and it was so much fun. 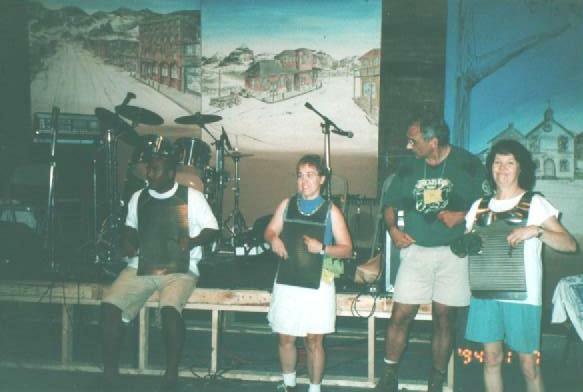 I also learnt how to Cajun dance with Don Brasseaux and partners doing the teaching, which was a bit different from how I had learnt it originally from videos purchased from New Orleans. 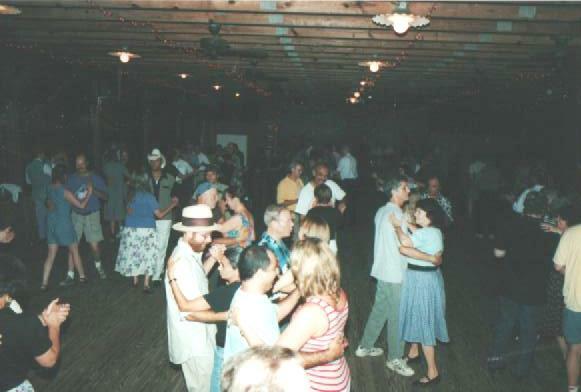 But as I had learnt some Cajun dancing I alternated with Lou Maiuri’s Appalachian Clogging classes who was an excellent Flat-foot clogger. The program for the week was packed with so many classes to choose from and so much to see and do, it was impossible to fit it all in and get some sleep. 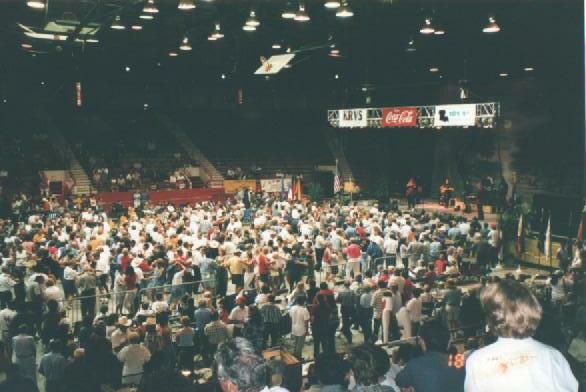 But I thoroughly enjoyed everything I participated in and especially all the dances at night and the concerts. Another highlight was the Augusta Festival in the Elkins City Park which was a celebration of Traditional Music, Dance, Folk-life and Crafts. I bought myself some wonderful handcrafted colourful dance shoes. Soon our week was up, but excitingly we made our plans to drive to Louisiana. A two day trip and we were in Cajun country. We drove through New Orleans as our destination was Breaux Bridge in the heart of Cajun country. We found the Bayou Cabins and Mulate’s Restaurant and checked into a charming cabin overlooking the Bayou Teche and had our first taste of Alligator at Mulate’s. We were lucky that Jay Cormier was playing and we got to meet him and he invited us to play in the band. 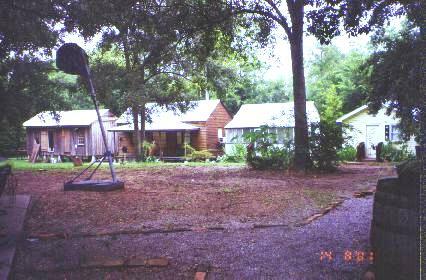 I had packed my rub-board (frottoir) and Cajun triangle in the bottom of my suitcase. We also got up and Cajun danced. We enjoyed it so much we went again the next night and were invited to play again with the band. My first taste of Louisiana and Cajun culture, music, dance and food was not to be my last.. see my 3 other trips..!! !